Isaac Richard Alfred James Kempshall was born on the 9th of November 1889 in Capel to agricultural labourer Isaac and Sarah. Isaac was baptised on the 23rd of February 1890 at St Peter’s church in Newdigate, Surrey. At the time of his baptism the family lived in Capel and Isaac was working as a labourer. Isaac’s father, Isaac was born about 1855 in Capel to farm labourer Richard, born about 1812 in Newdigate and Charlotte, born about 1817 in Warnham, Sussex. Isaac was baptised on the 7th October 1855 in Capel, Surrey. His mother Sarah Weller was born on the 7th of October 1857 in Capel to labourer James, born about 1820 in Capel and Sarah, born about 1824 in Capel. Sarah was baptised on the 1st of November 1857 at St Peter’s church, Newdigate. At the time of the baptism the family lived in Capel and Isaac was working as a labourer. Isaac and Sarah married in the 3rd quarter of 1889 in Dorking. Isaac had one sister: Charlotte, born about 1890 in Capel. 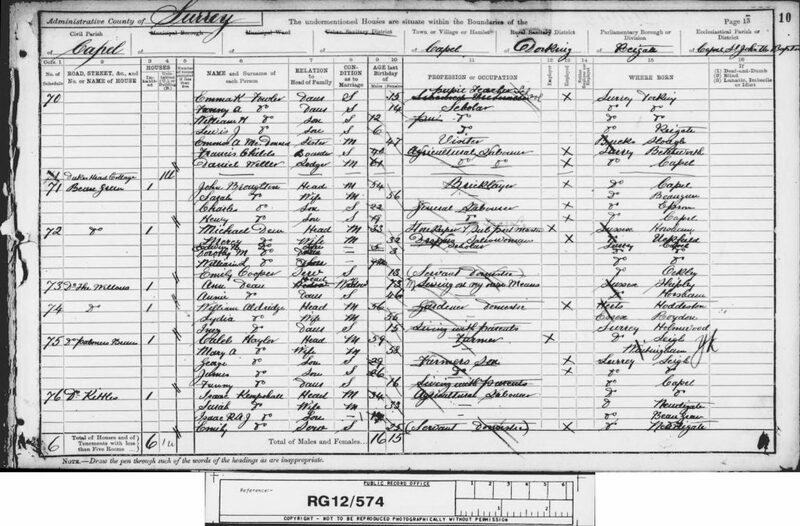 At the time of the 1891 Census, the family lived at Kittles, Beare Green. Isaac was working as an agricultural labourer and Sarah was at home. The household further comprised of their son Isaac and a servant. 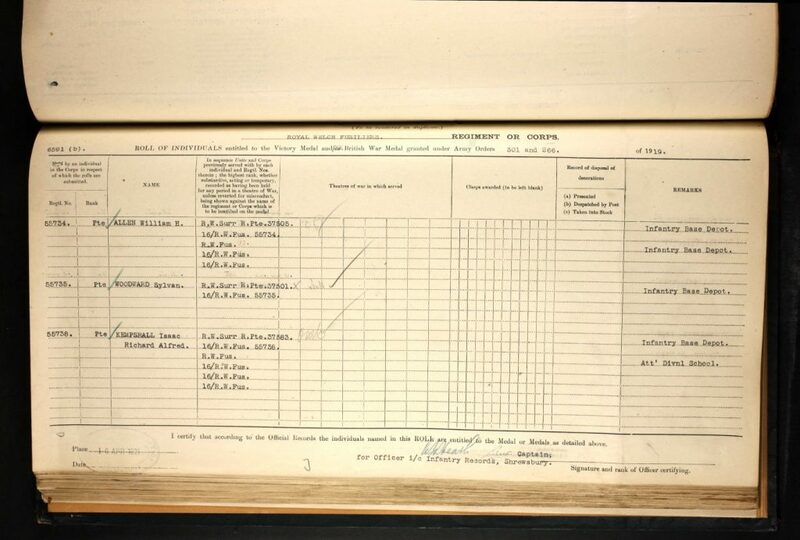 On the 5th of May 1896 Isaac Richard Alfred James was admitted into the South Holmwood Church of England School. At the time of his admission, the family lived at Mill Bottom. 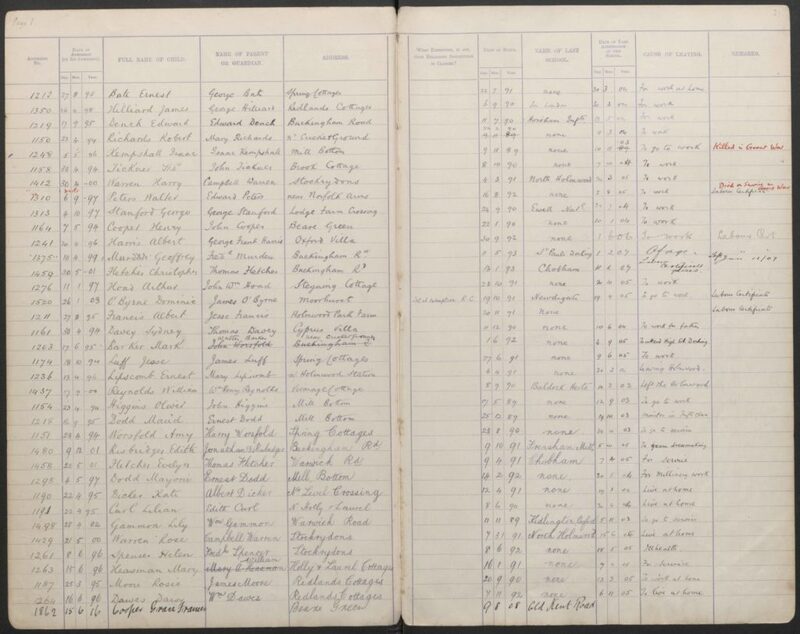 Isaac left the school on the 10th of November 1908. He left to start work. 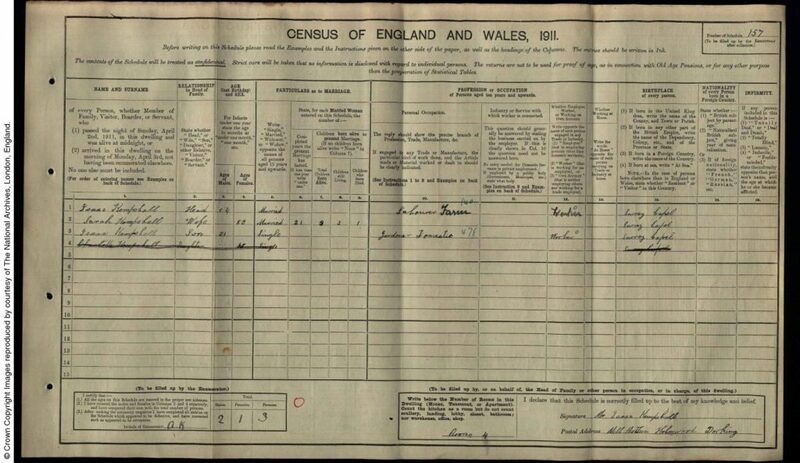 At the time of the 1901 Census, the family lived at Mill Bottom, Holmwood. Isaac was working as a carter on a farm and Sarah was at home. The household further comprised of their children Isaac and Charlotte, and Isaac snr’s brother in law Jeremiah Kempshall and his family. 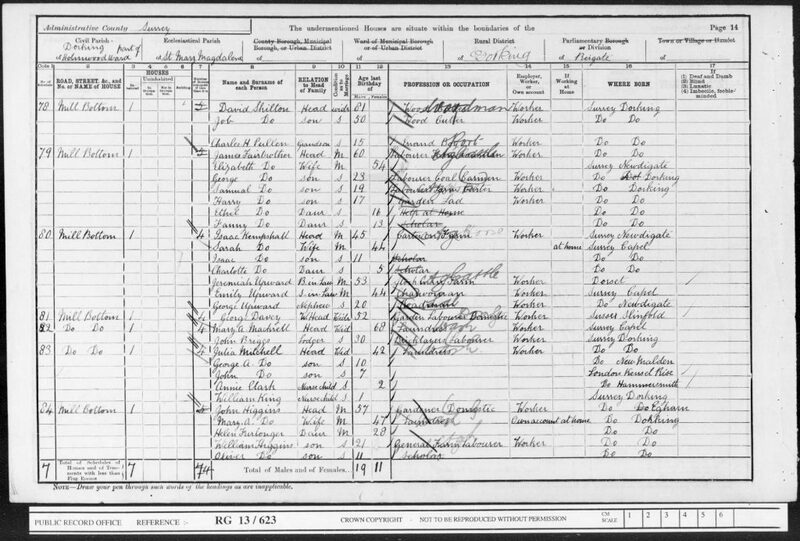 At the time of the 1911 Census, the family were still at Mill Bottom. Isaac was working as a farm labourer and Sarah was at home. The household further comprised of their son, gardener, Isaac. Sarah stated that she had given birth to three children of whom two were still alive. The accommodation had four rooms. 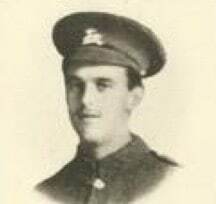 Isaac Kempshall enlisted in Guildford, Surrey into the Queen’s Royal West Surrey Regiment. He was a Private with regimental number 37585. At the time of his death he was part of the “A” Company, the 16th Battalion, the Royal Welsh Fusiliers. His new regimental number was 55738. 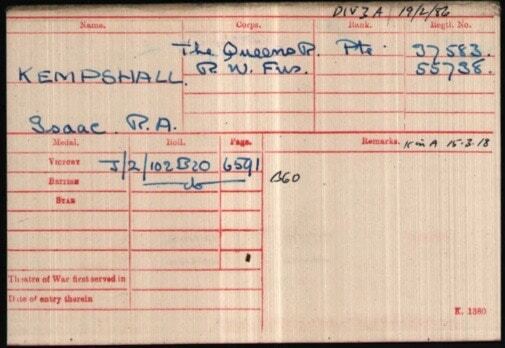 Isaac Kempshall was killed in an action on the 15th of March 1918 in Belgium. His body was never found. 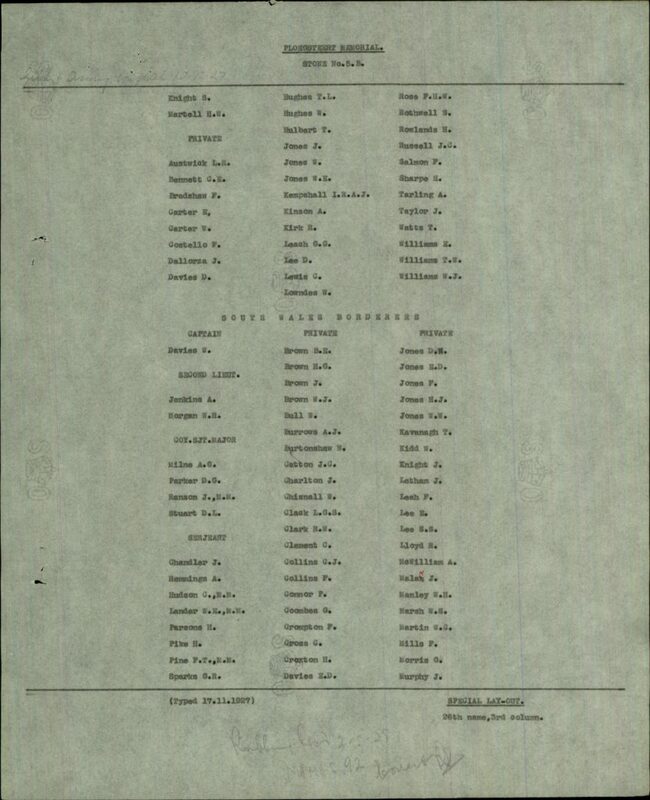 He is commemorated on the Ploegsteert Memorial in Belgium on Panel 5. Isaac’s mother Sarah received £9, 18s and 1d on the 16th of July 1919 in Soldier’s Effects. Previous Regiment 37585. Queen’s Royal West Surrey Regiment.